“The underlying message of the workshops is that education is key - not enforcement - and they aim to give motorcyclists greater awareness of the hazards they may face when out and about to help them become better and safer riders and are designed to bridge the gap between passing the basic motorcycle test and taking an advanced test. 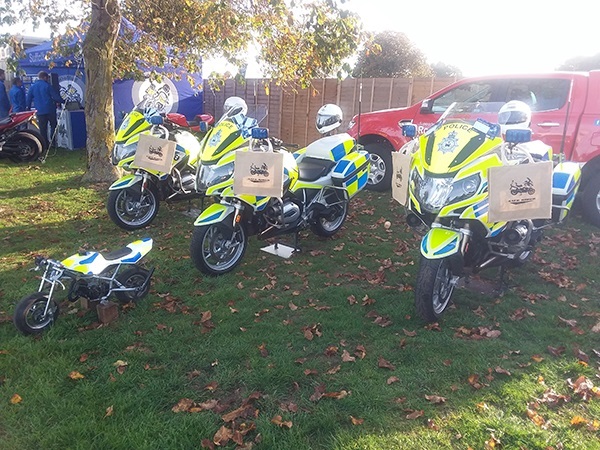 Motorcyclists across Suffolk are being given the opportunity to improve their riding skills and to have better awareness and ability while on the road at ‘Safe Rider’ motorcycle workshops to be held in 2019. To date in 2018, 14 people have been killed on Suffolk’s roads, two of which were motorcyclists. In 2017, a total of 34 people died on the county’s roads, five of which were motorcyclists. PC Andy Masterson, from Suffolk Constabulary’s Road Casualty Reduction Team and who has taken over organising the workshops, said: "The underlying message of the workshops will continue to be that education is key, not enforcement. “The workshops give motorcyclists greater awareness of the hazards they may face when out and about to help them become better and safer riders and are designed to bridge the gap between passing the basic motorcycle test and taking an advanced test. “However, I would still equally encourage experienced motorcyclists to attend as it is always good to refresh your skills. Indeed, all us police officers who are advanced-level riders are required to have refresher training every three to five years. “Relatives or friends still looking for Christmas ideas for a loved one who is a motorcycling enthusiast, might consider booking them onto a Safe Rider course – in particular parents of young riders. "Reducing the number of people who are killed or seriously injured on the county’s roads remains a priority for us and while the number of fatalities to date this year are half the number we experienced last year, one death is still too many.